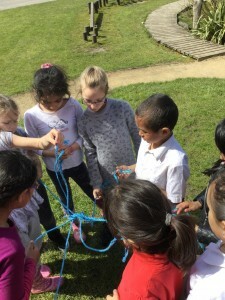 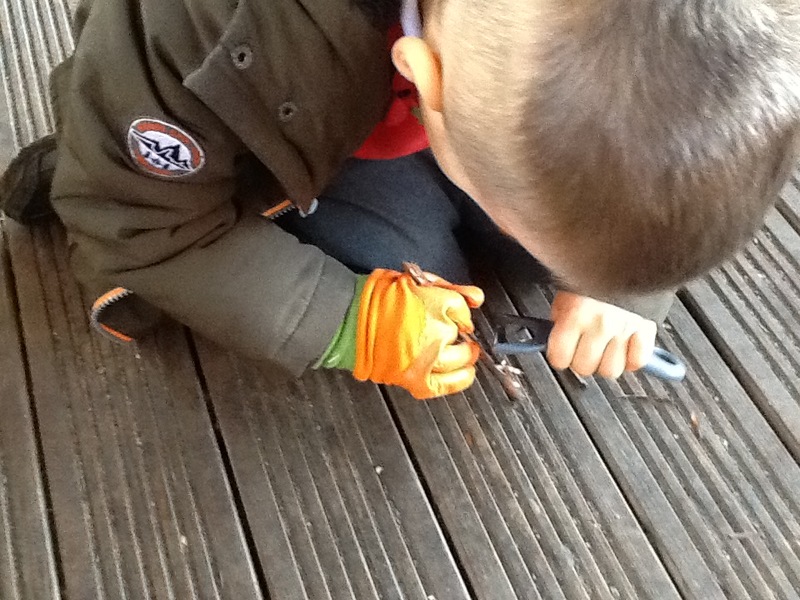 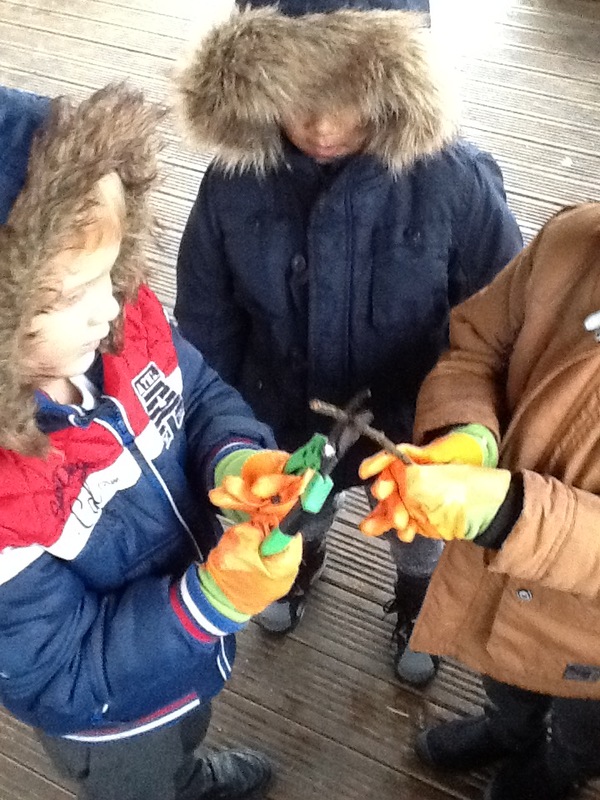 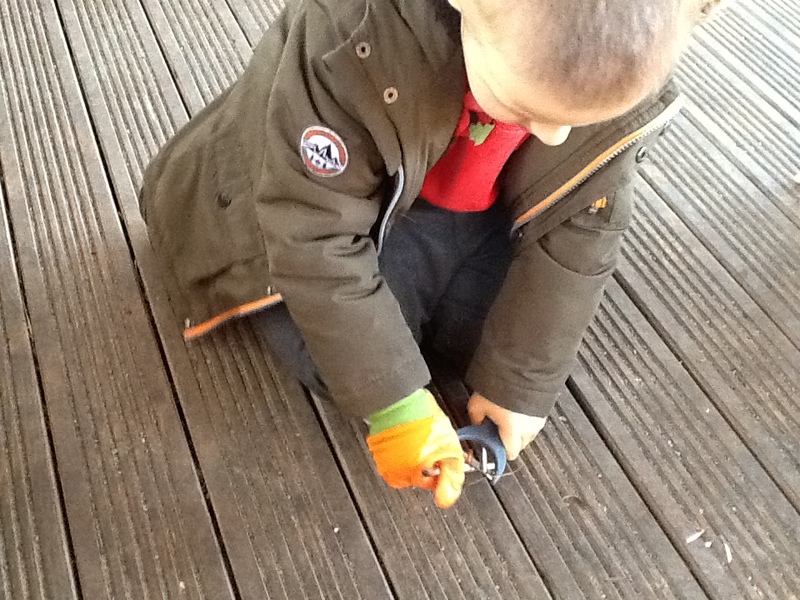 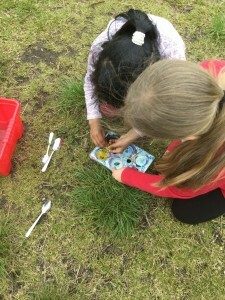 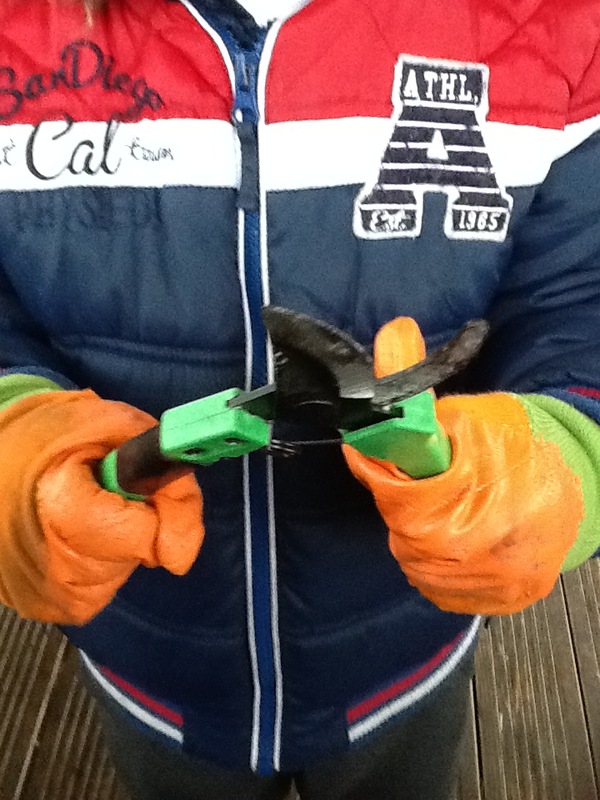 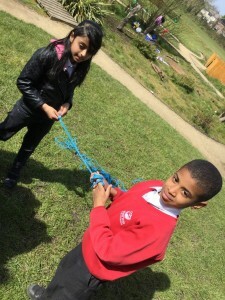 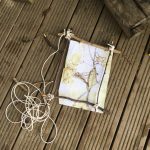 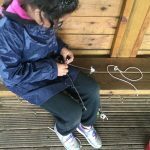 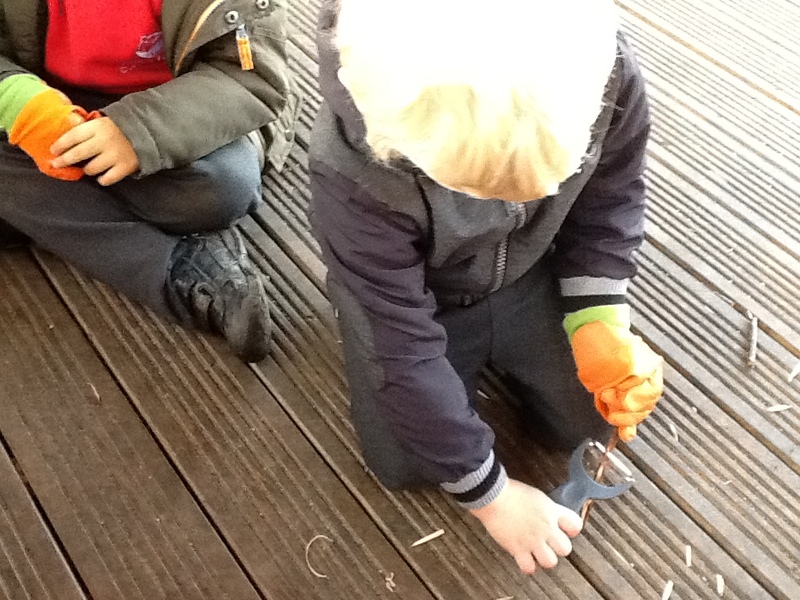 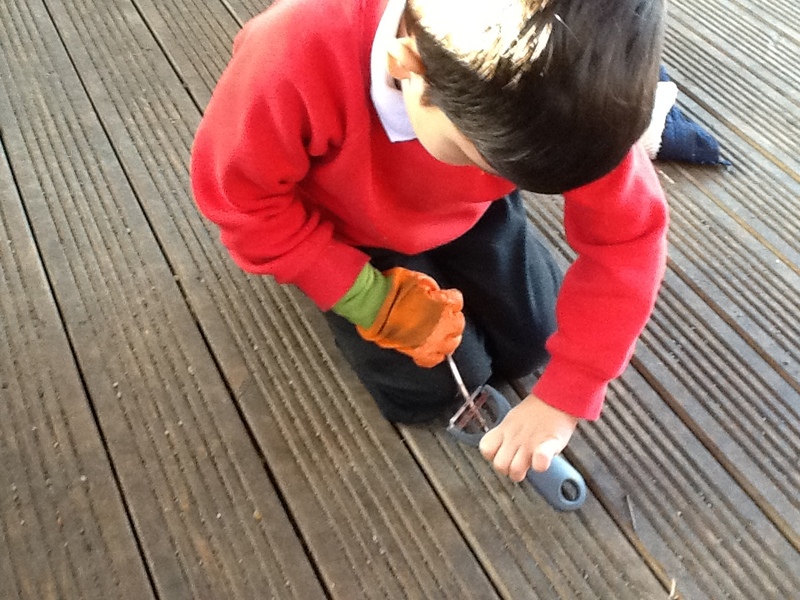 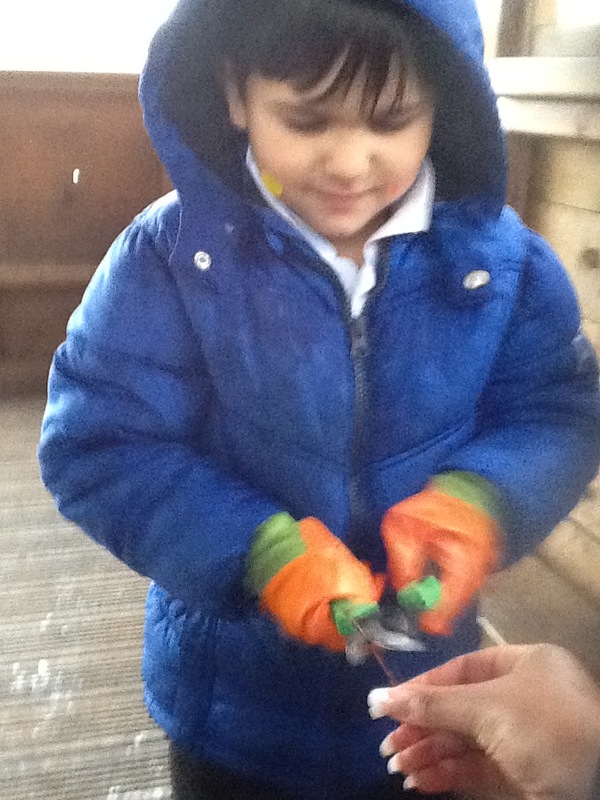 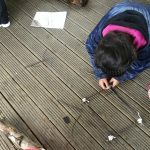 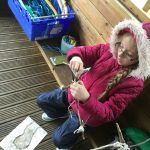 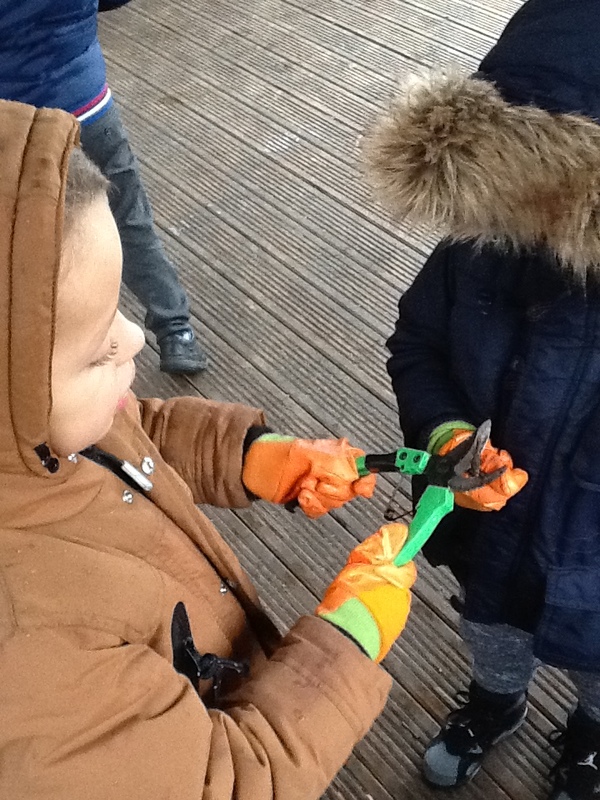 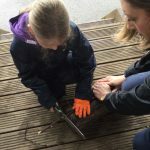 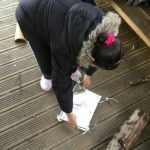 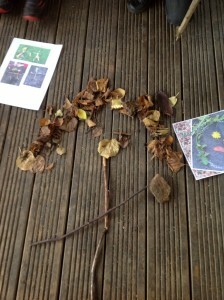 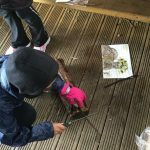 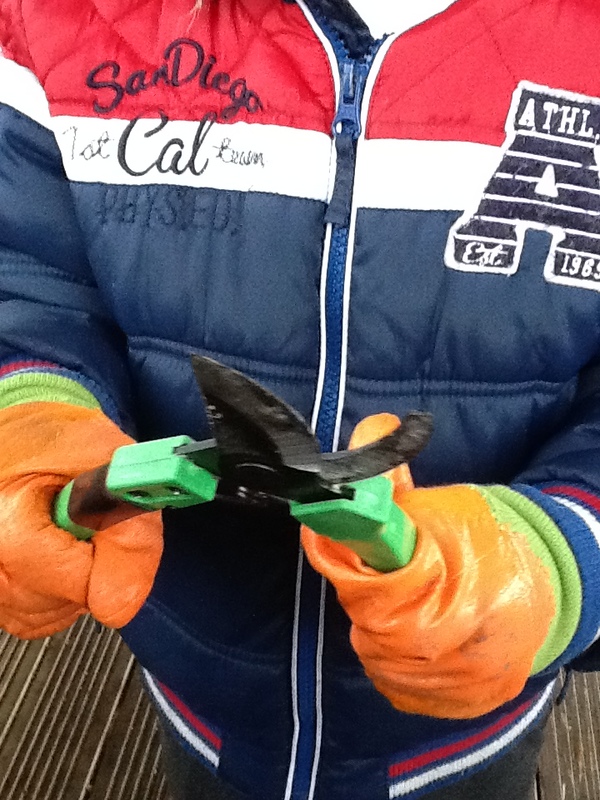 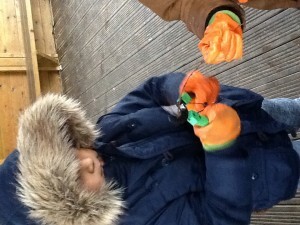 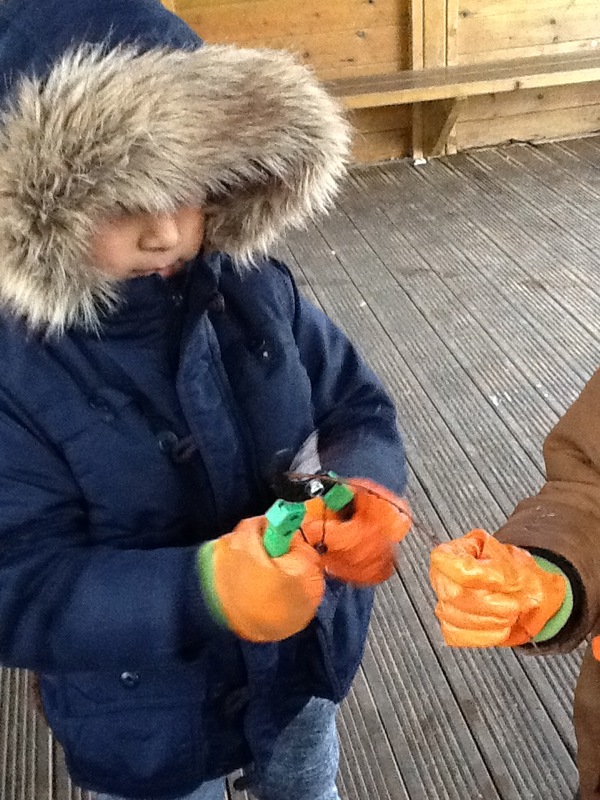 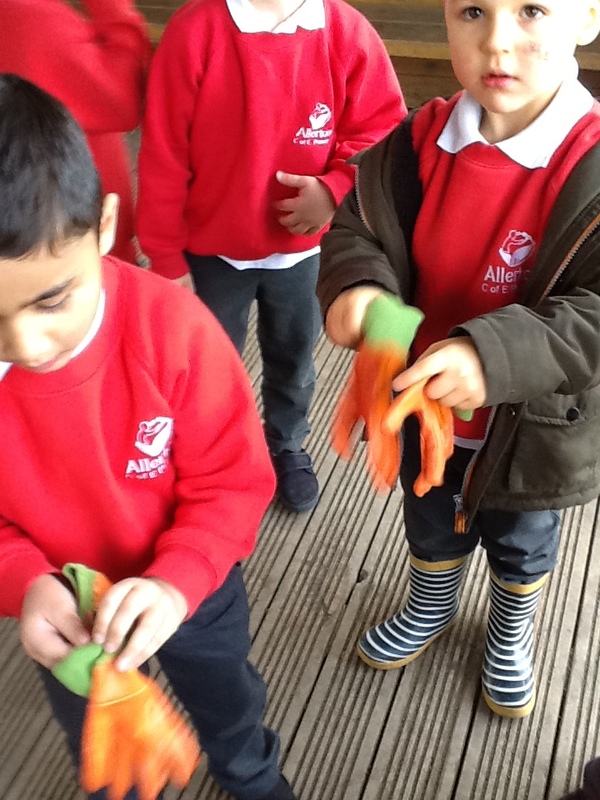 Today Miss Martin set reception Forest school explores to work together to use materials/objects in our woodland to make a persom. 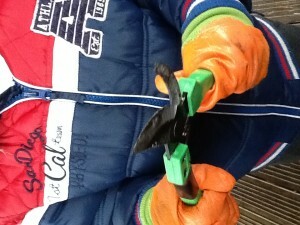 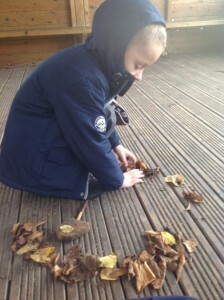 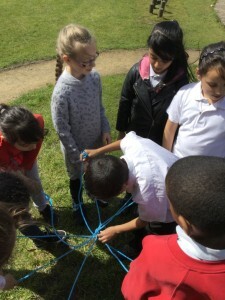 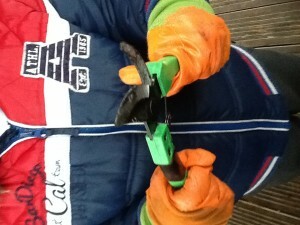 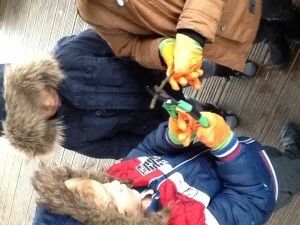 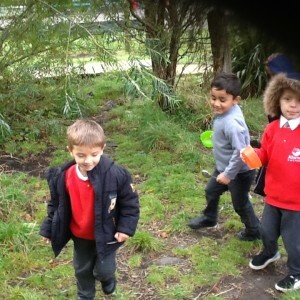 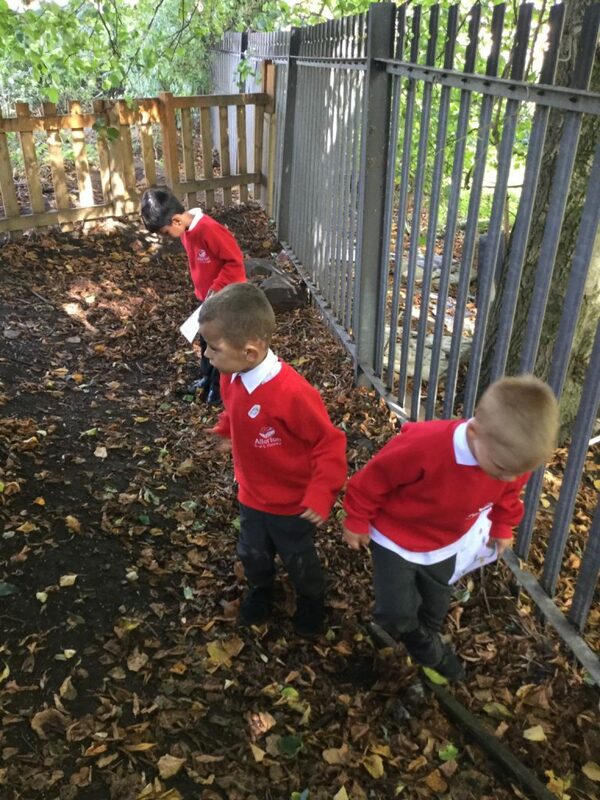 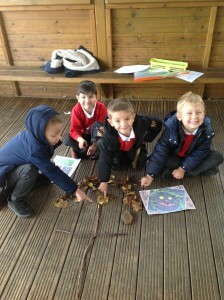 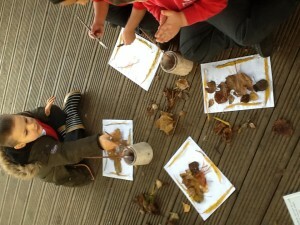 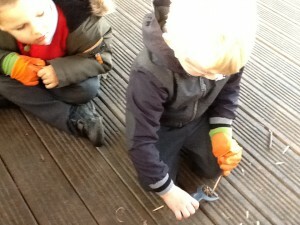 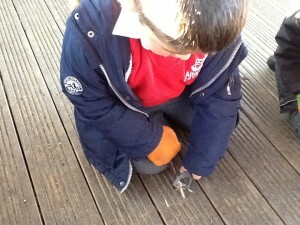 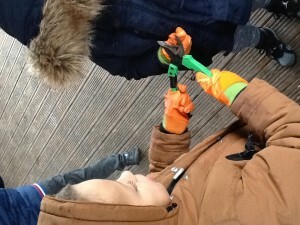 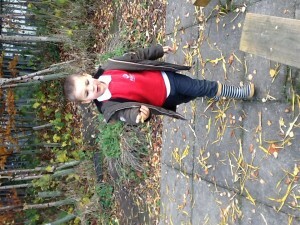 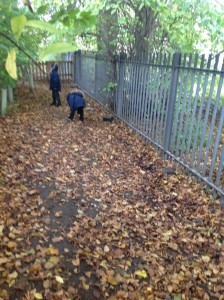 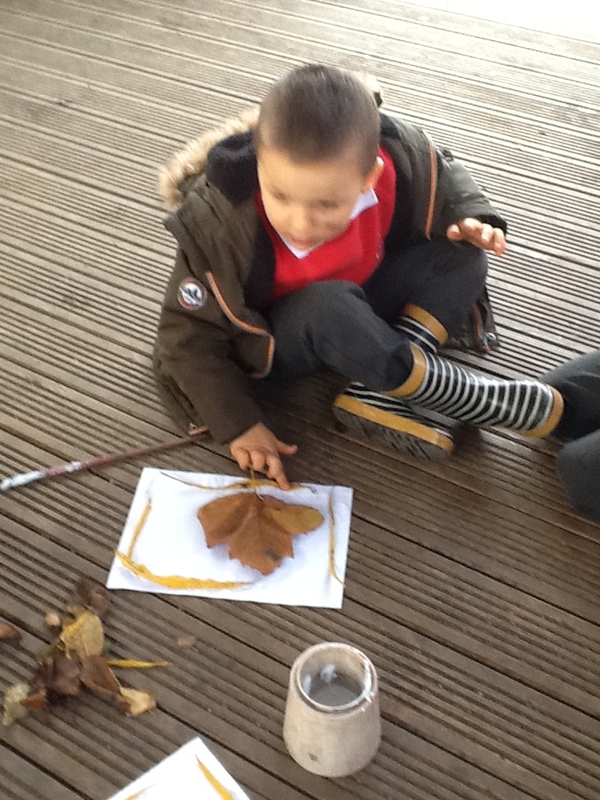 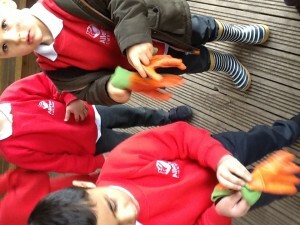 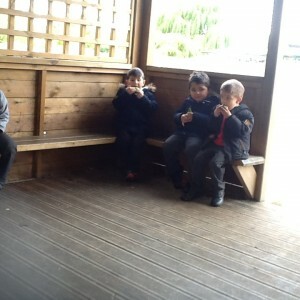 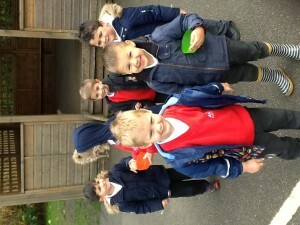 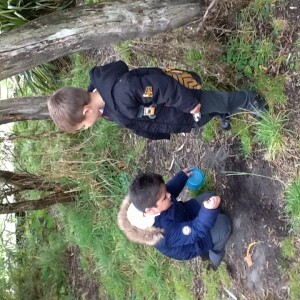 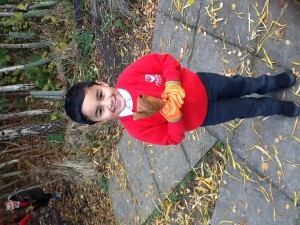 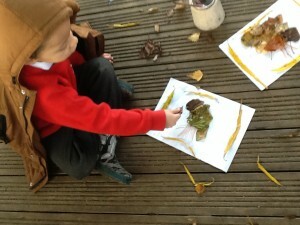 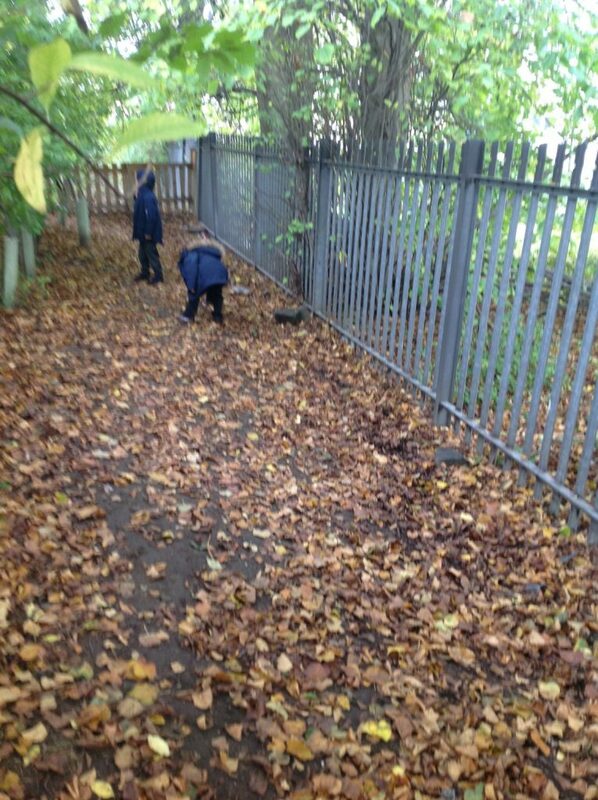 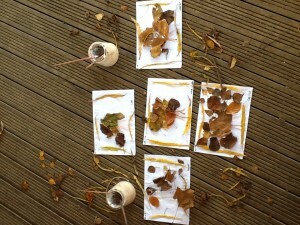 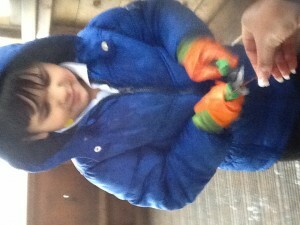 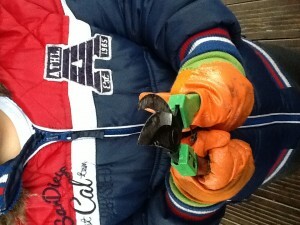 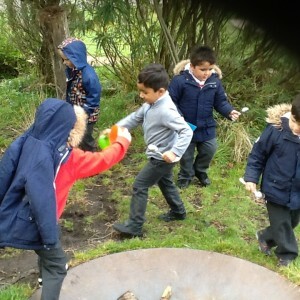 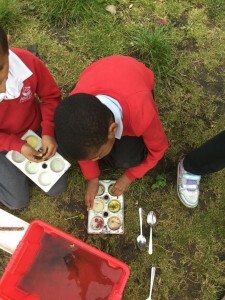 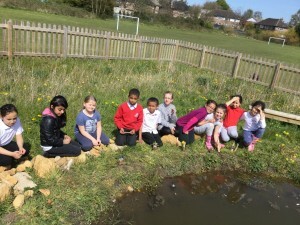 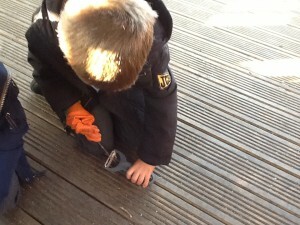 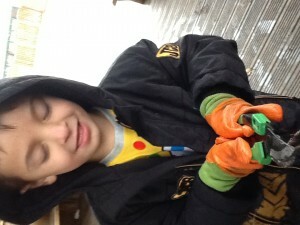 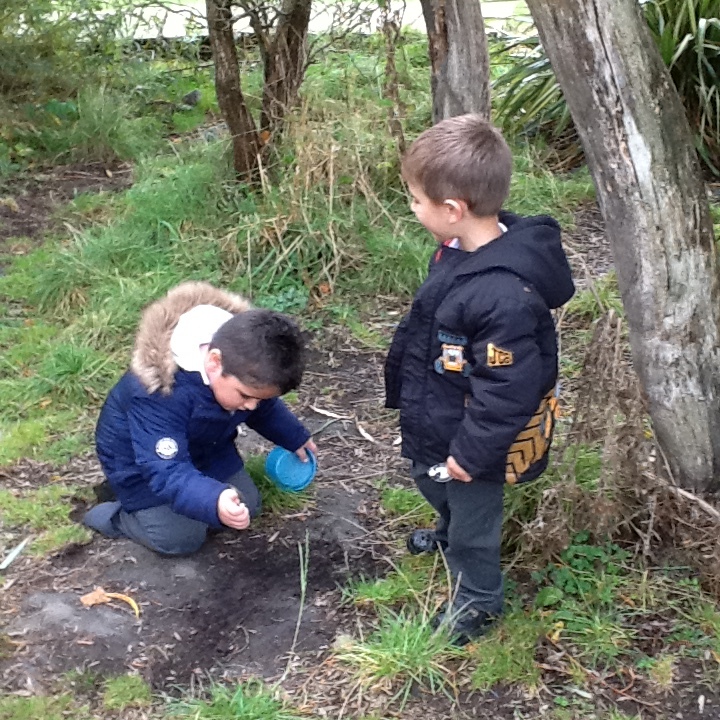 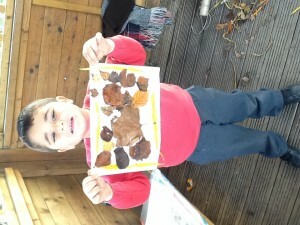 The children are searching for different leafs , stones anything that they can find to add to make there body. 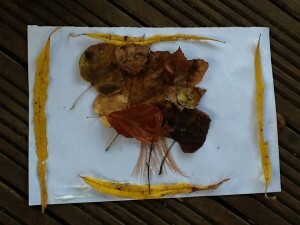 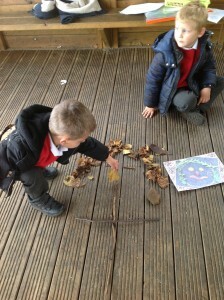 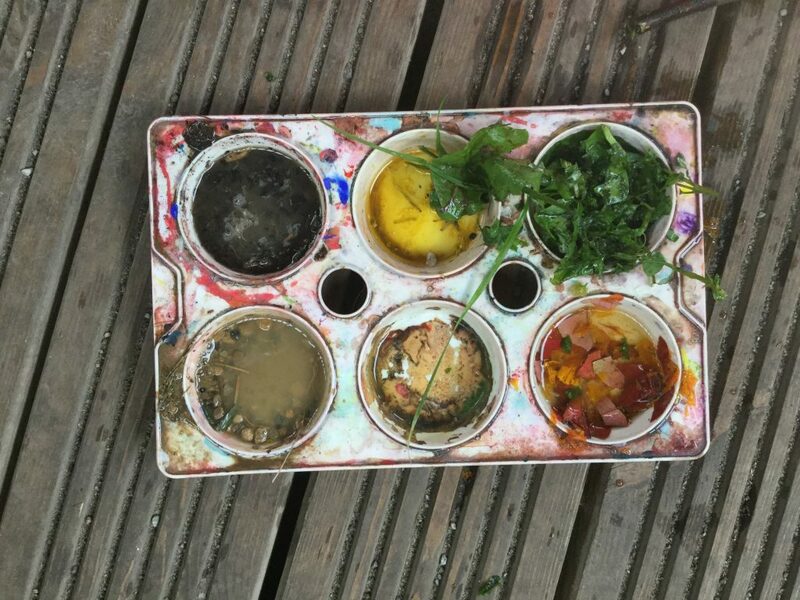 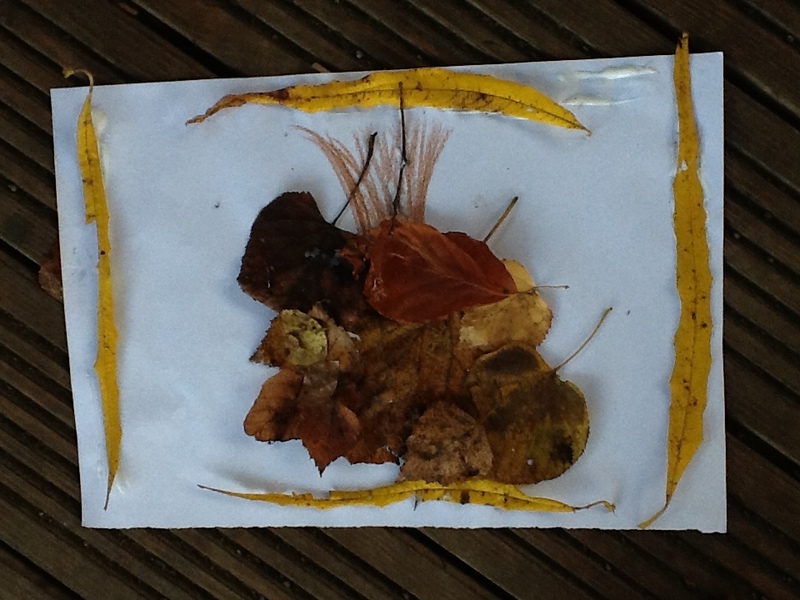 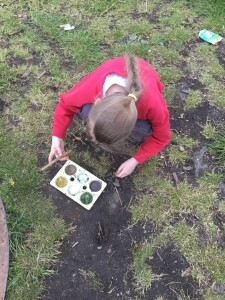 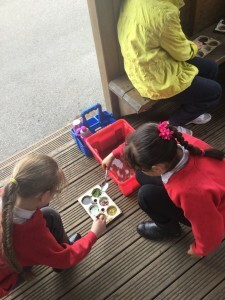 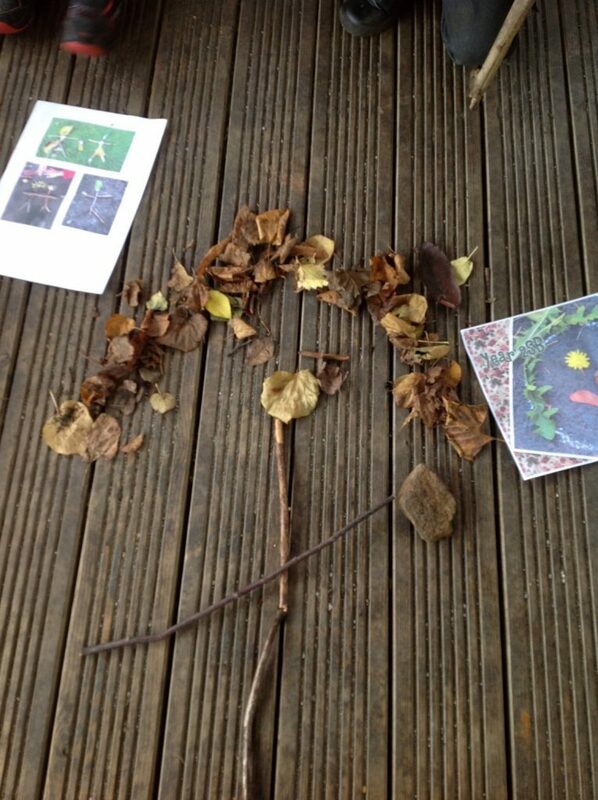 As you can see the children have worked together using the pictures on the floor as a guide to create a person using materials/objects from the woodland. 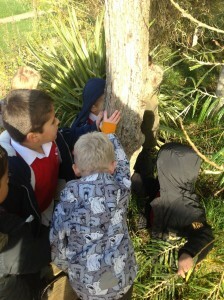 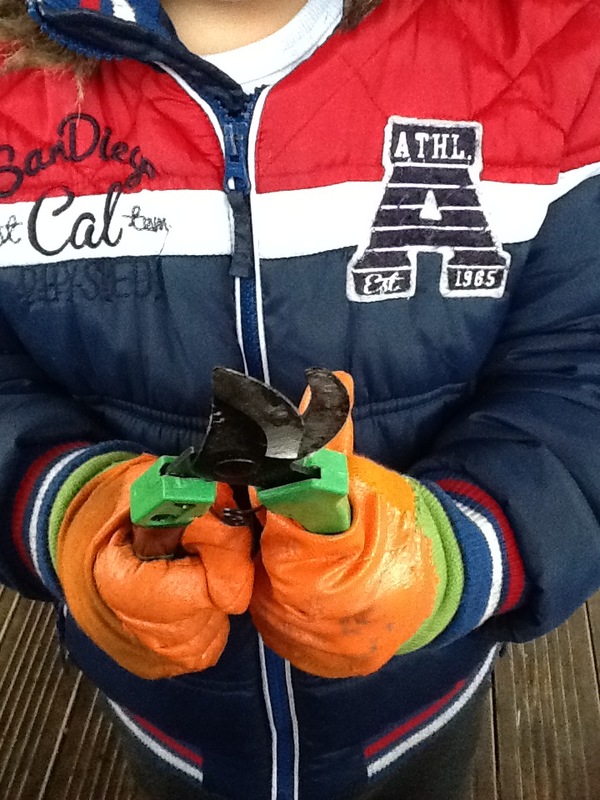 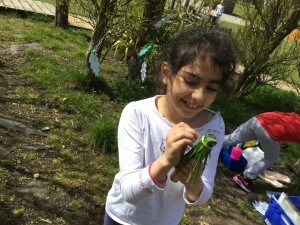 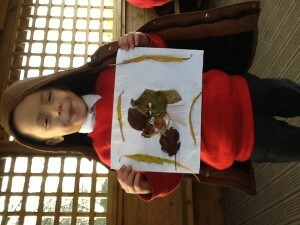 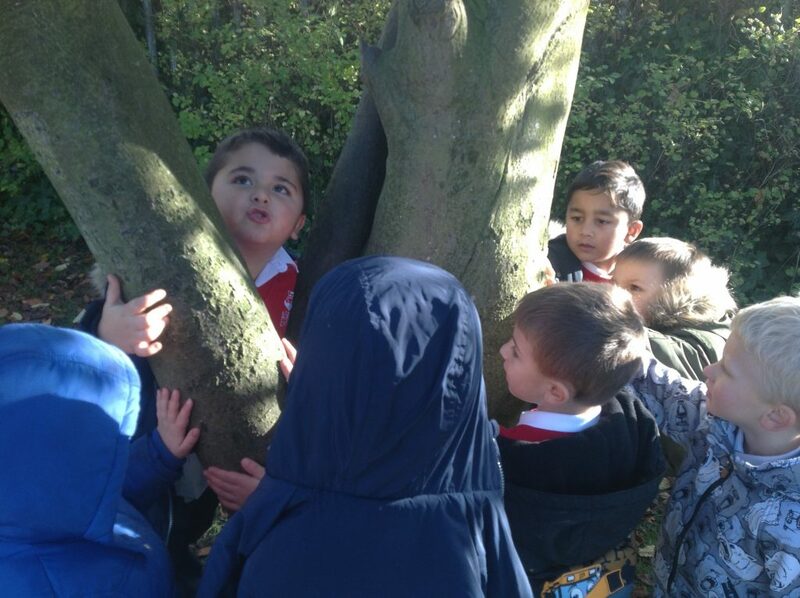 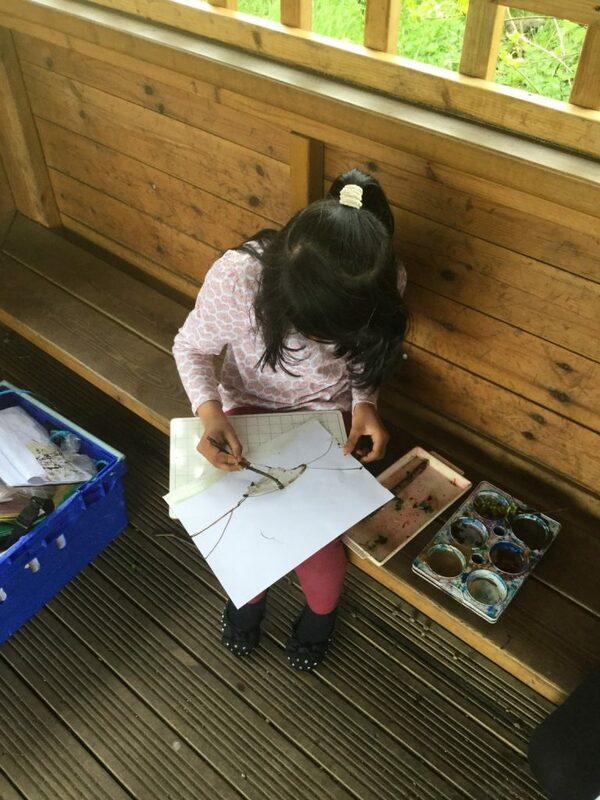 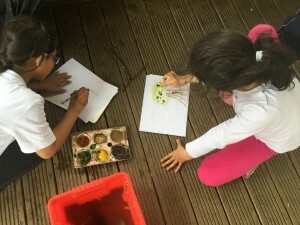 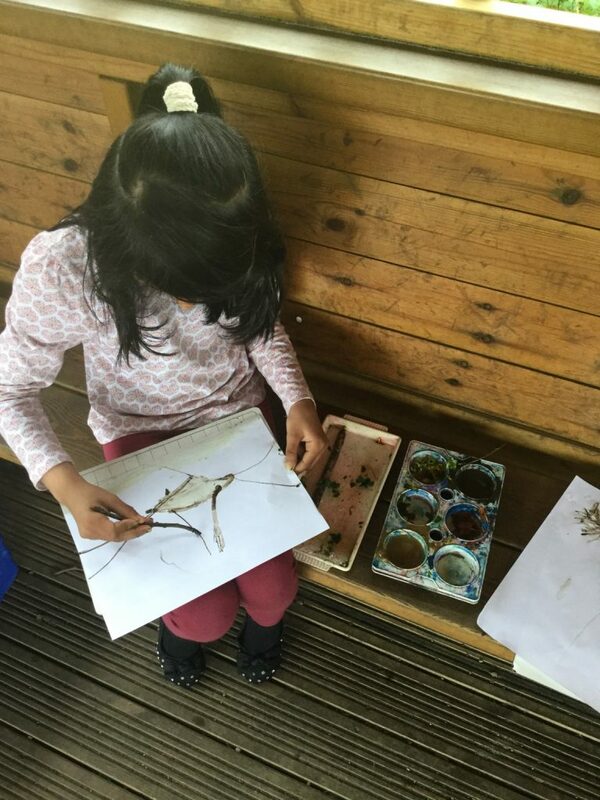 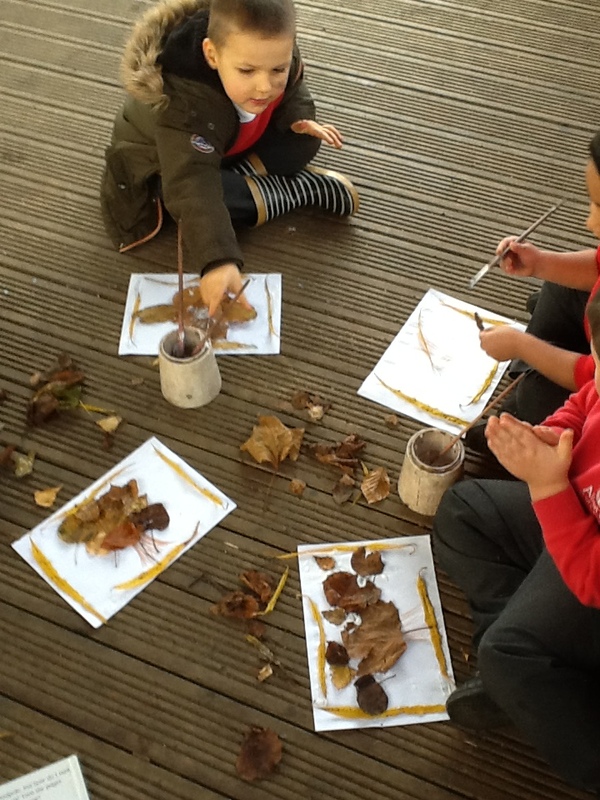 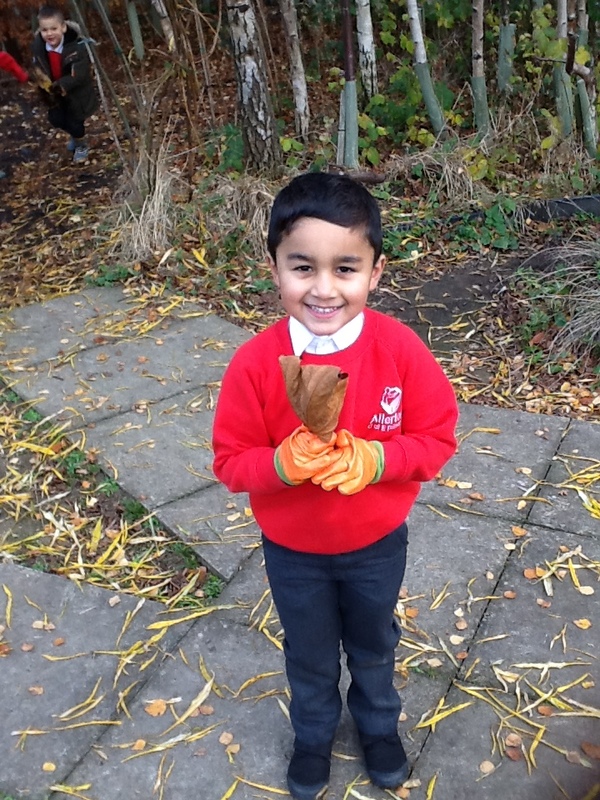 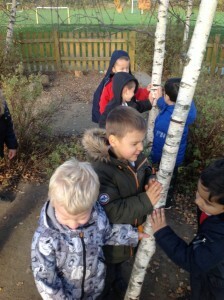 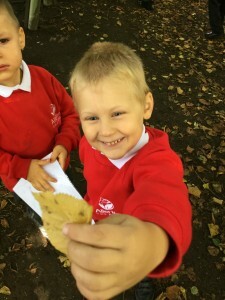 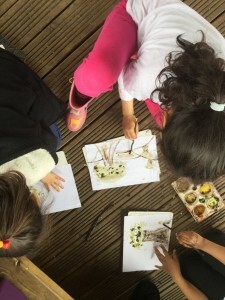 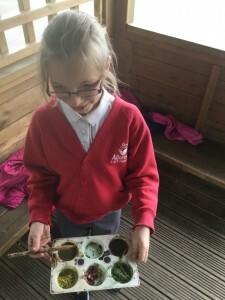 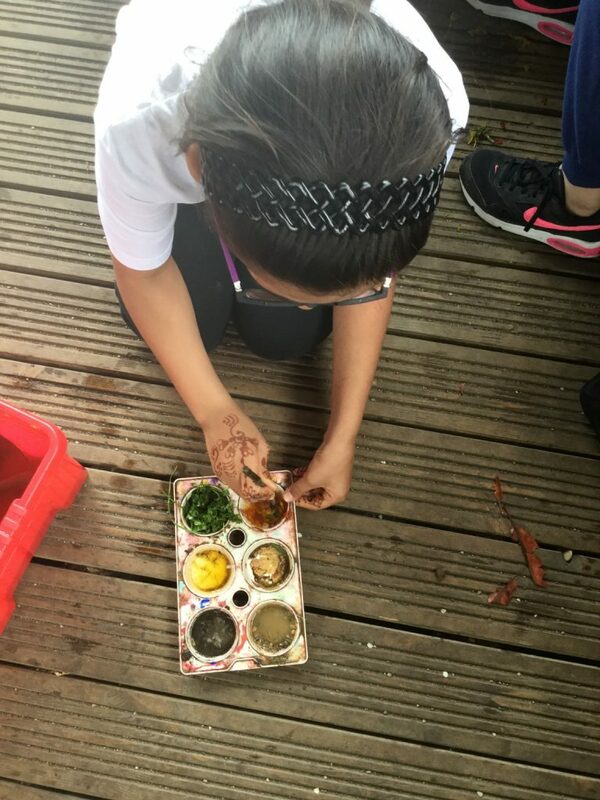 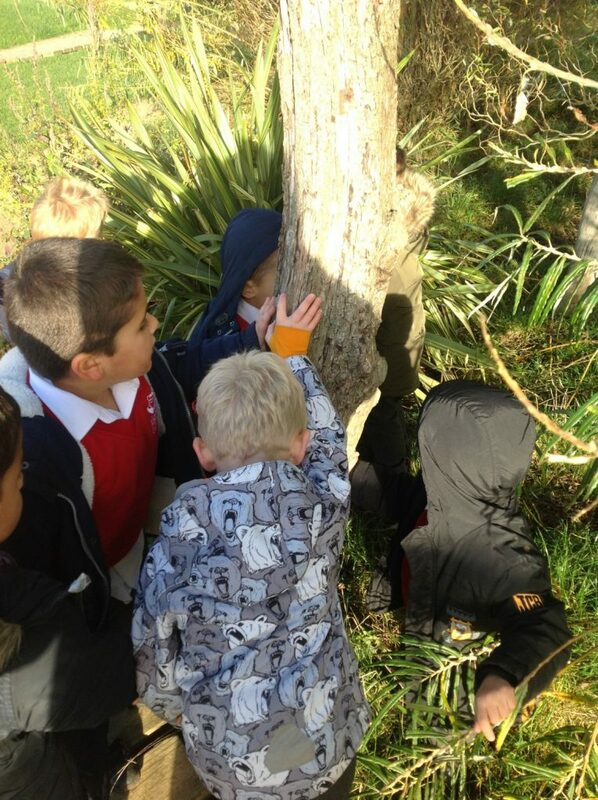 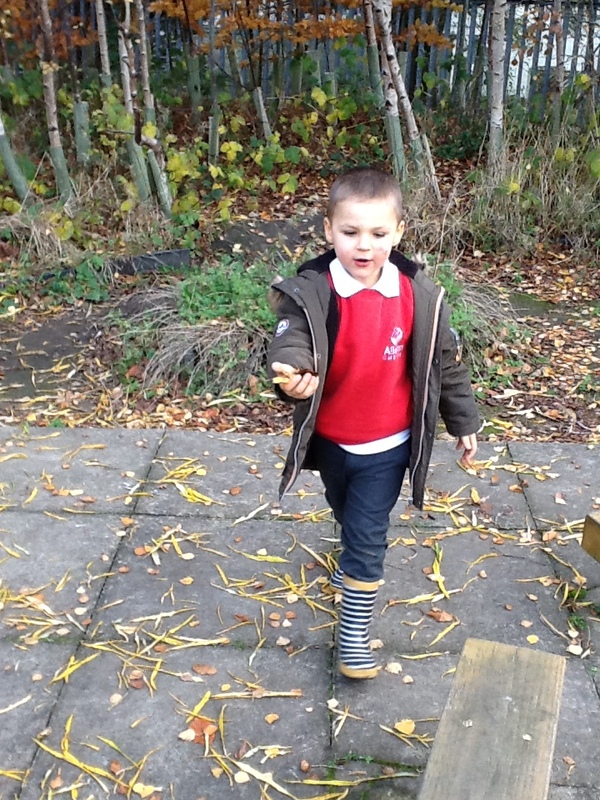 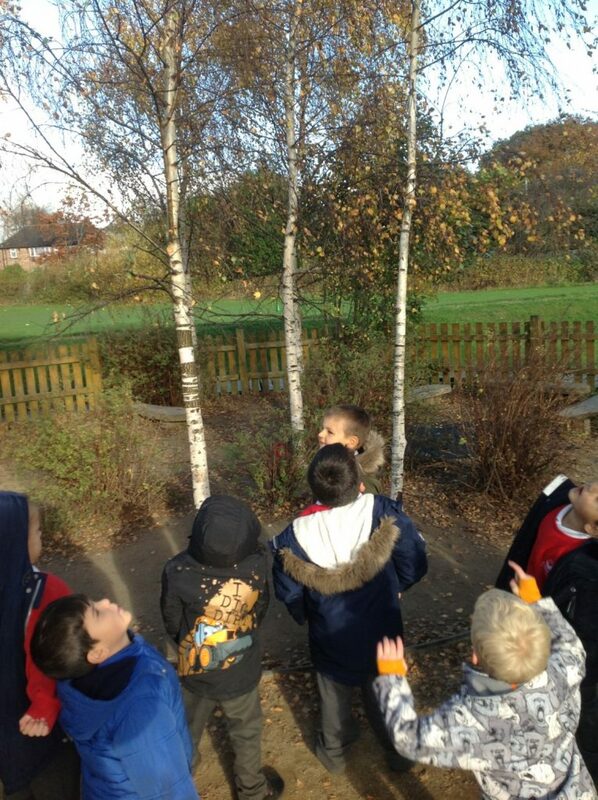 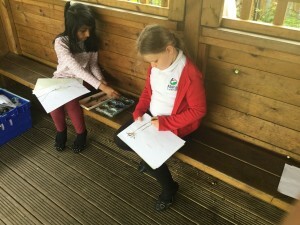 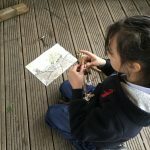 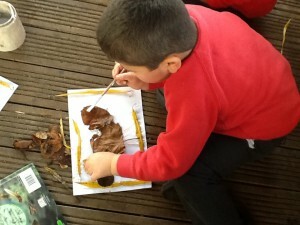 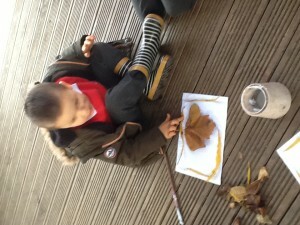 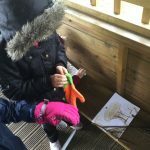 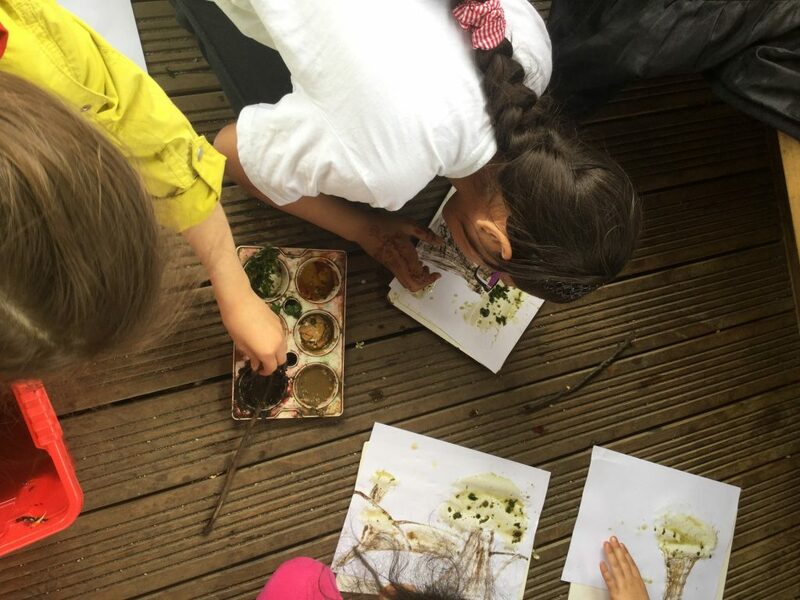 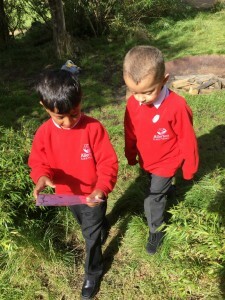 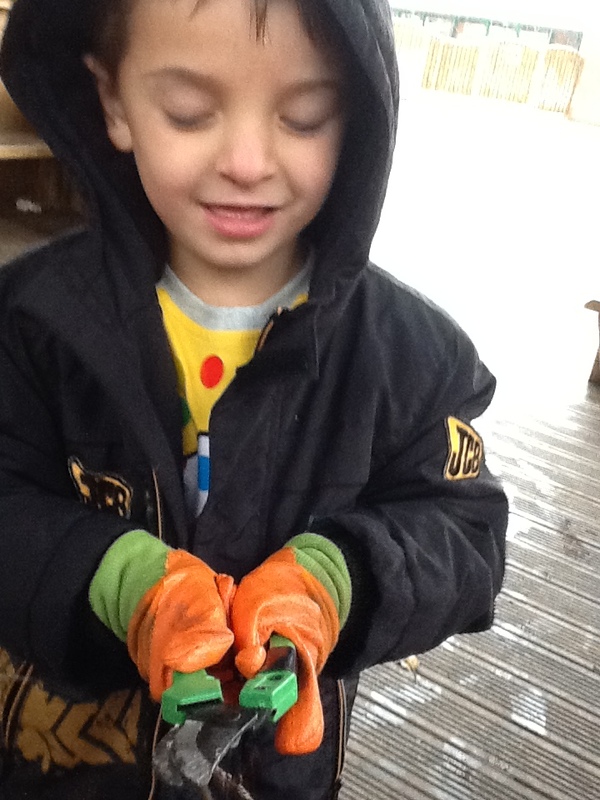 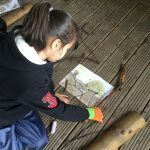 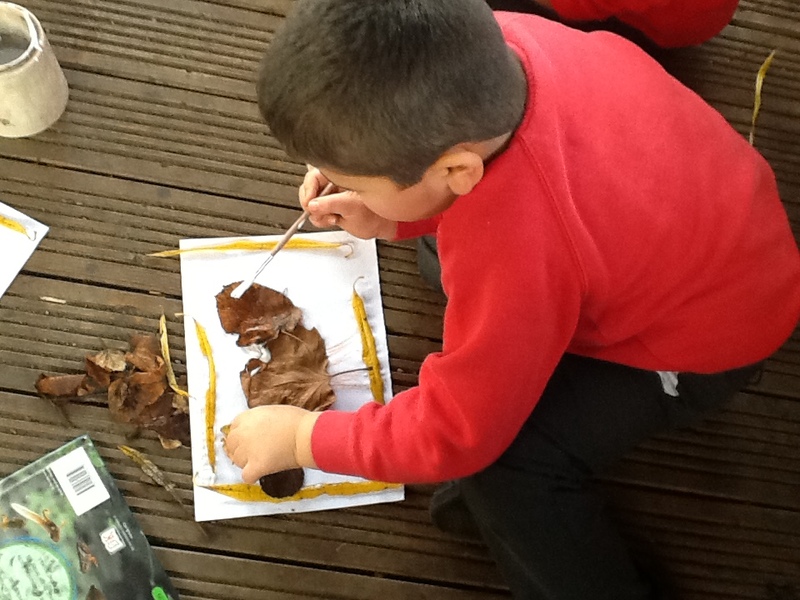 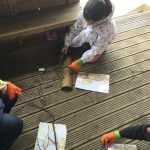 The children in forest school our exploring our woodlands by feeling the different textures of tress in the woodland area. 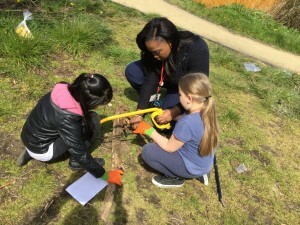 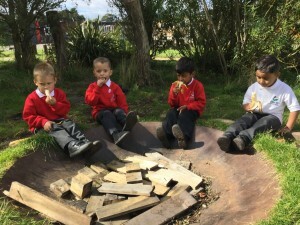 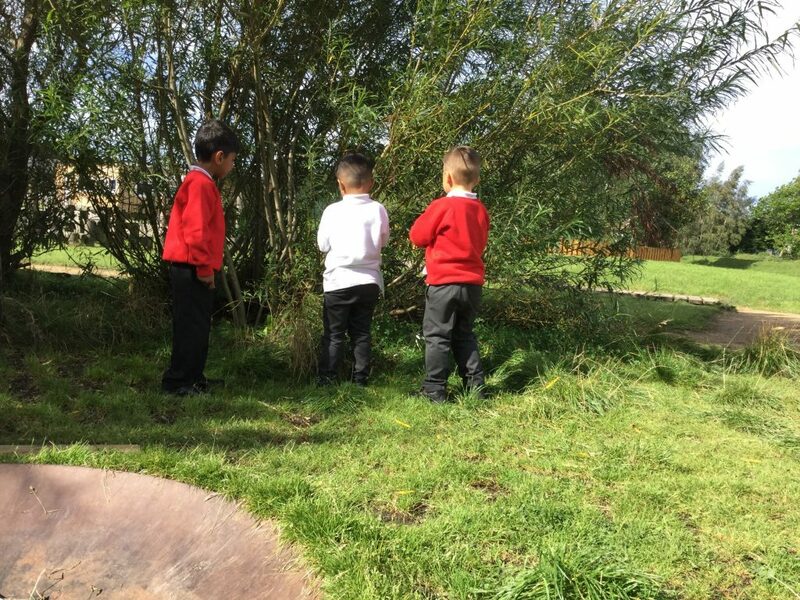 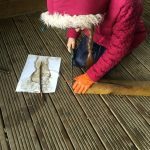 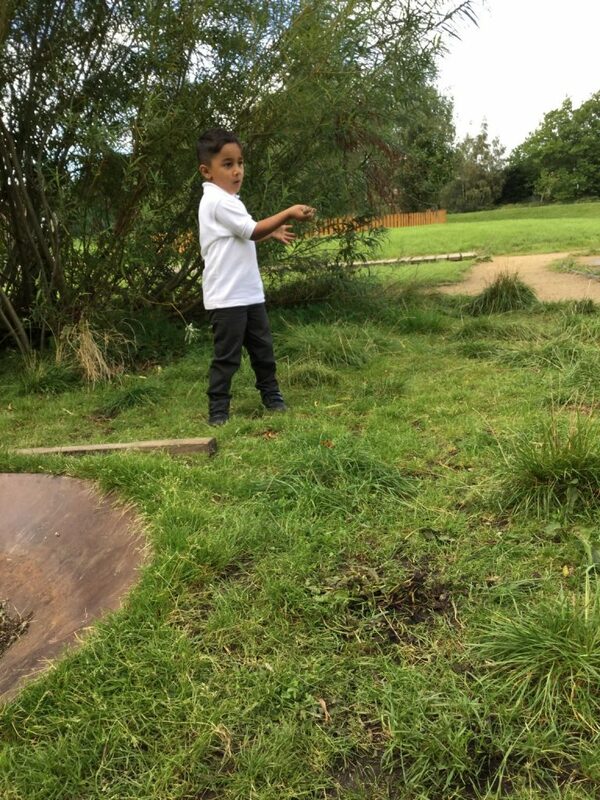 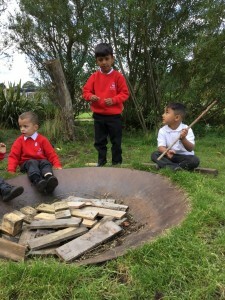 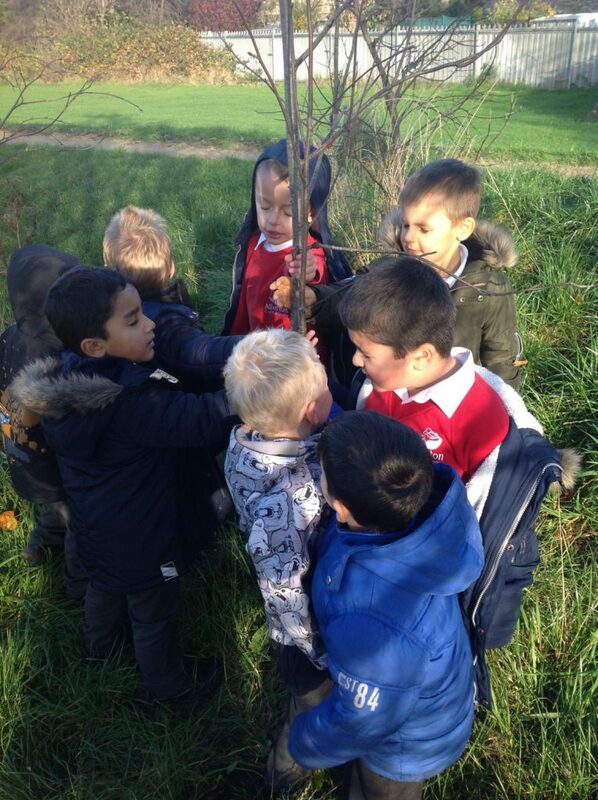 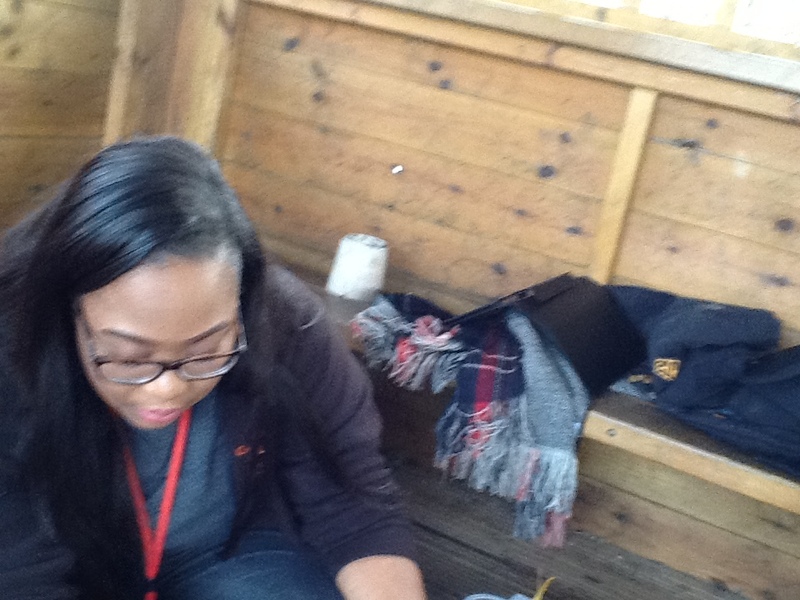 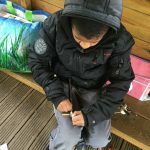 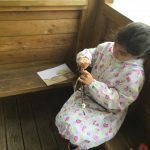 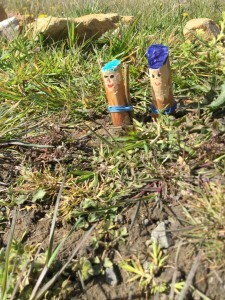 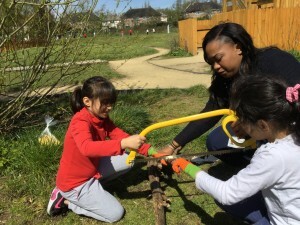 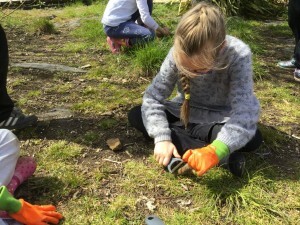 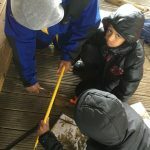 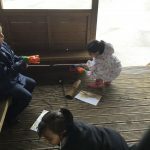 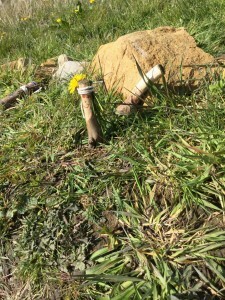 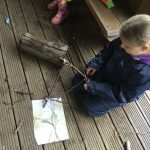 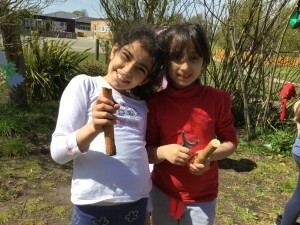 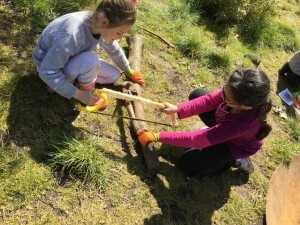 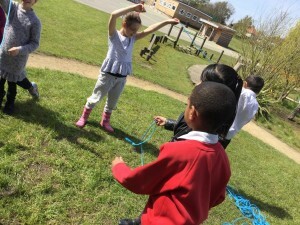 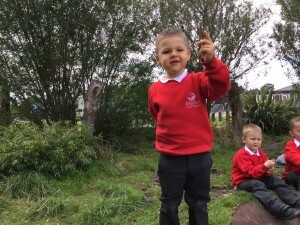 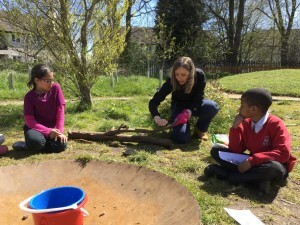 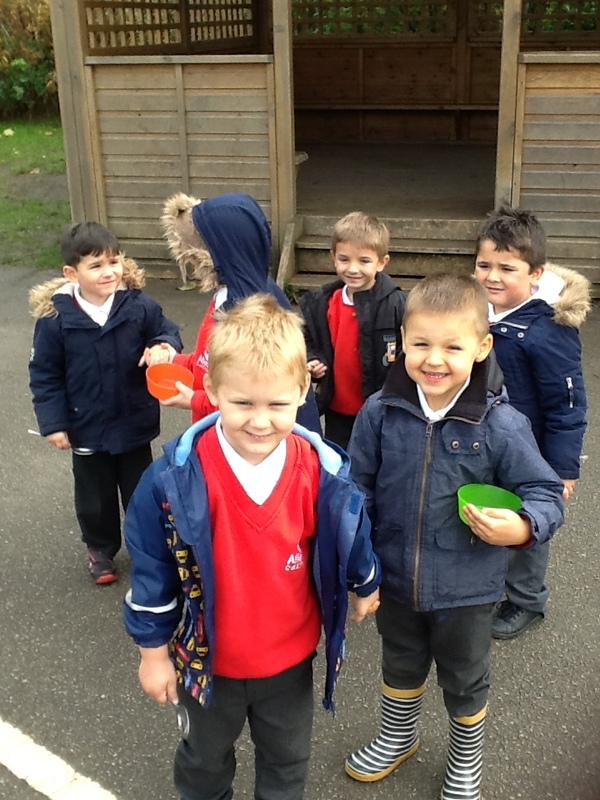 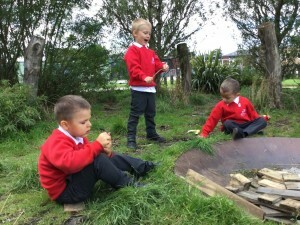 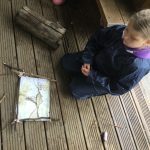 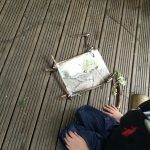 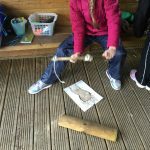 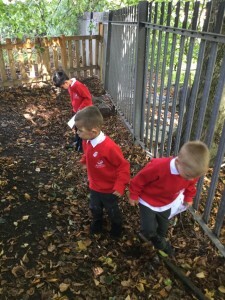 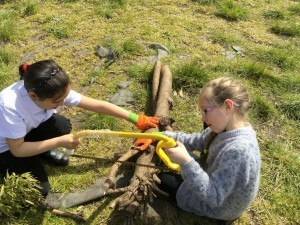 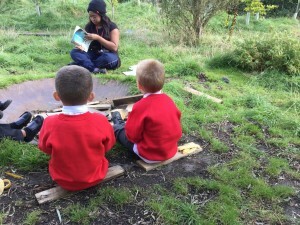 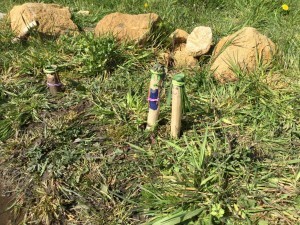 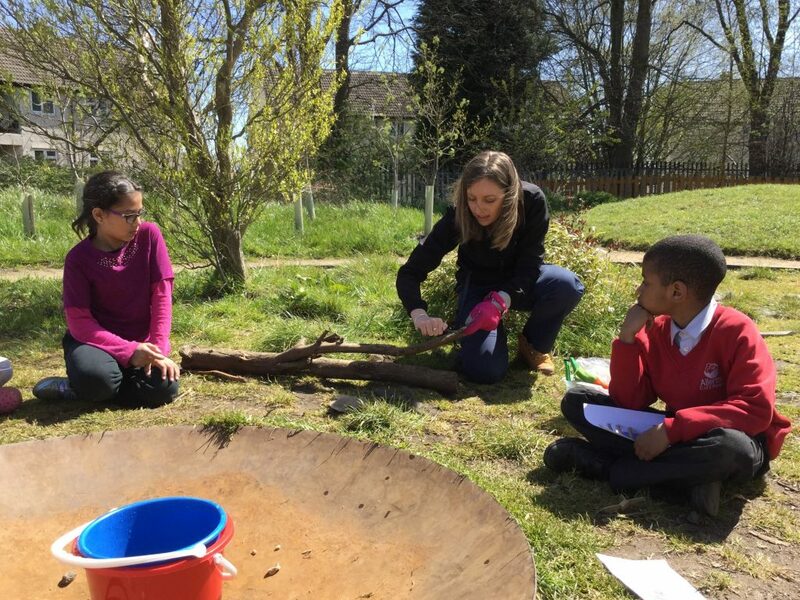 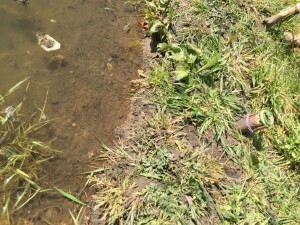 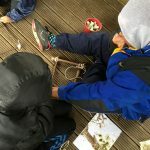 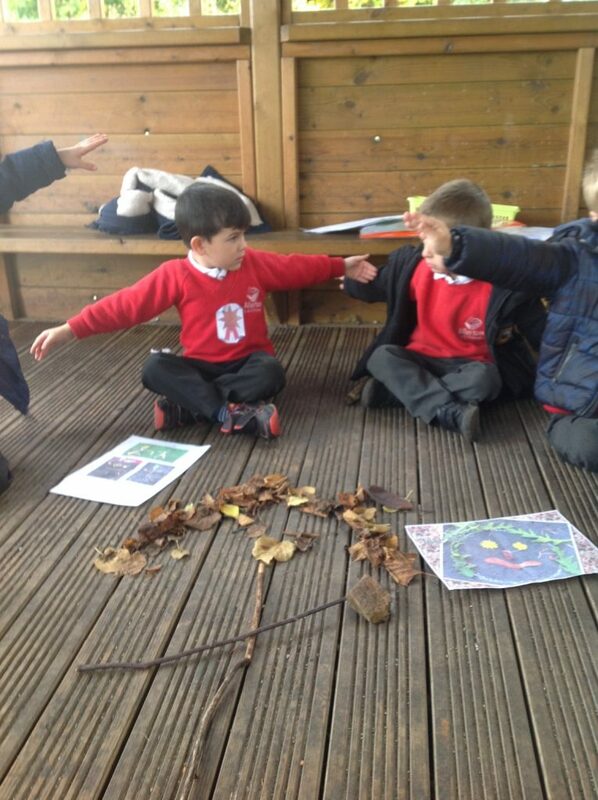 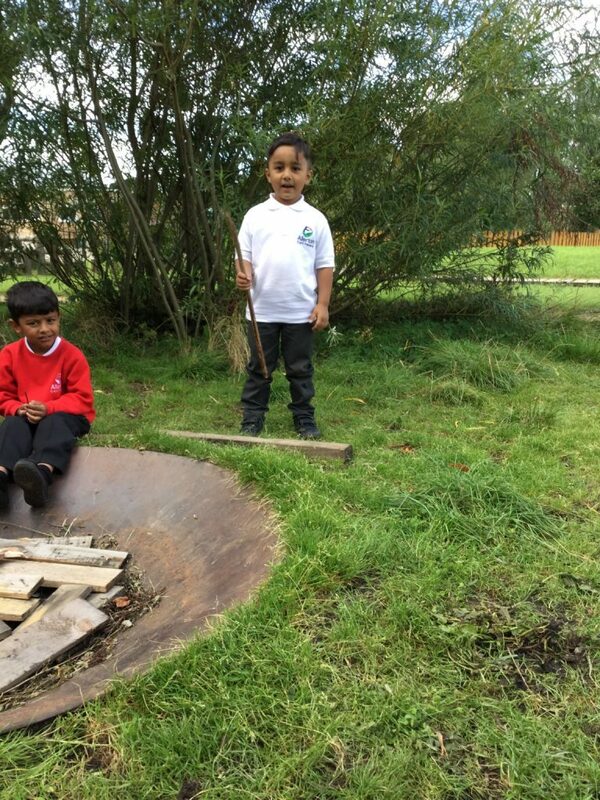 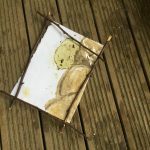 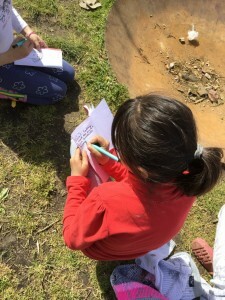 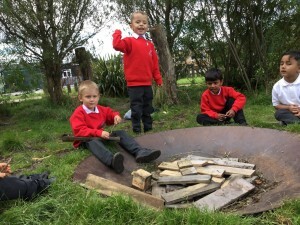 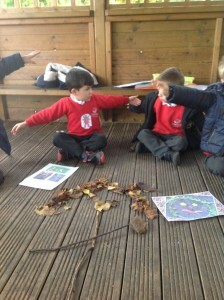 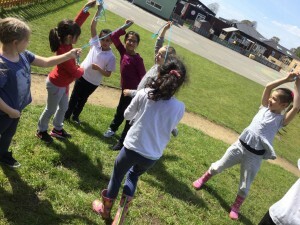 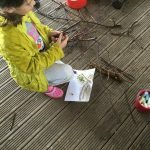 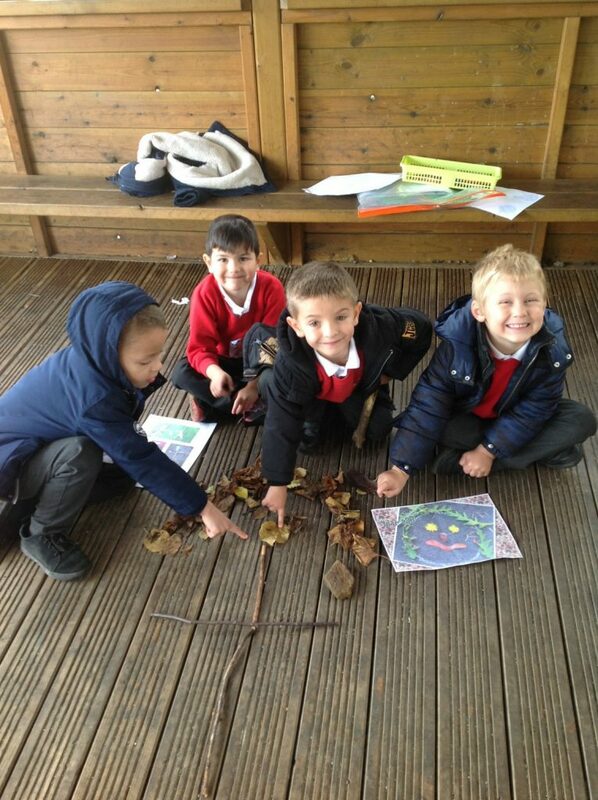 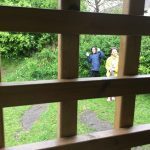 After the children listened to the story Miss Martin set them a task to go into the woodland and find a stick of there own … The children took it in turns to stand up and use there imaginations to say what there stick was.